1. Mix all the flours together. 2. Pour in the buttermilk and some water to make it a runny batter. It should be like the rava dosa batter. 4. Your dosa is ready to be made. It does not require any sit-in or resting time. 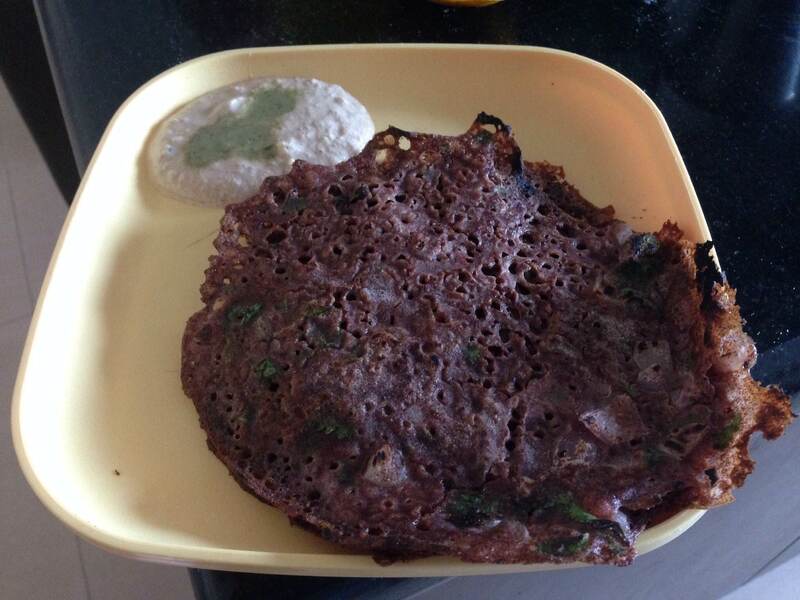 It is truly an ‘instant’ dosa. 5. 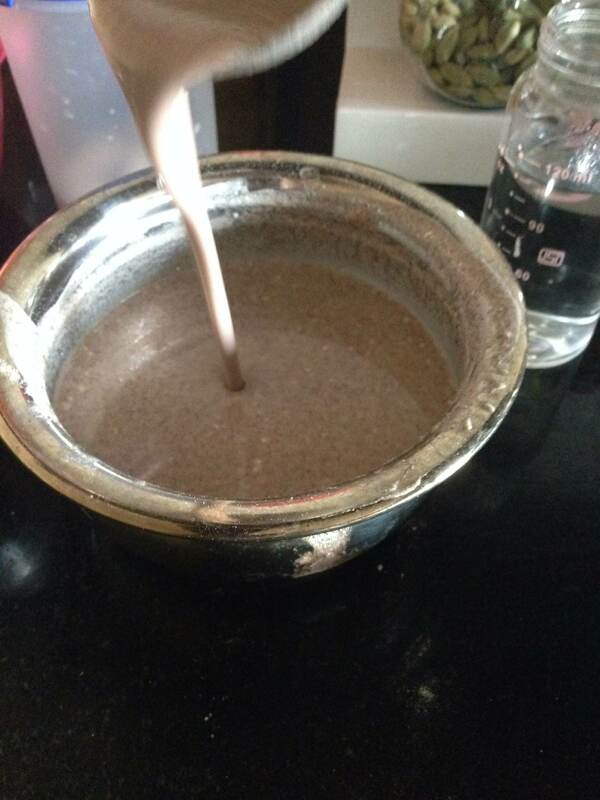 Pour the batter on a hot tava just like a rava dosa. Make an outline with the batter and then fill it in so that the entire thing can be taken out as a single piece. 6. Add oil on the edges and flip after a minute to cook the other side as well. The rice flour and wheat flour are interchangeable. You can substitute one for the other. The wheat flour is the healthier option while the rice flour is the tastier option. So I have used a mix of the two. If you don’t want to add the onions, pepper and coriander to the batter at the beginning, you can add them to individual dosas once they have been poured on the tava. But add these before the oil so that they will get the time to set into the dosa. If your dosa turns out a little dry then it either needs more water in the batter or it needs to be taken out sooner from the tava. 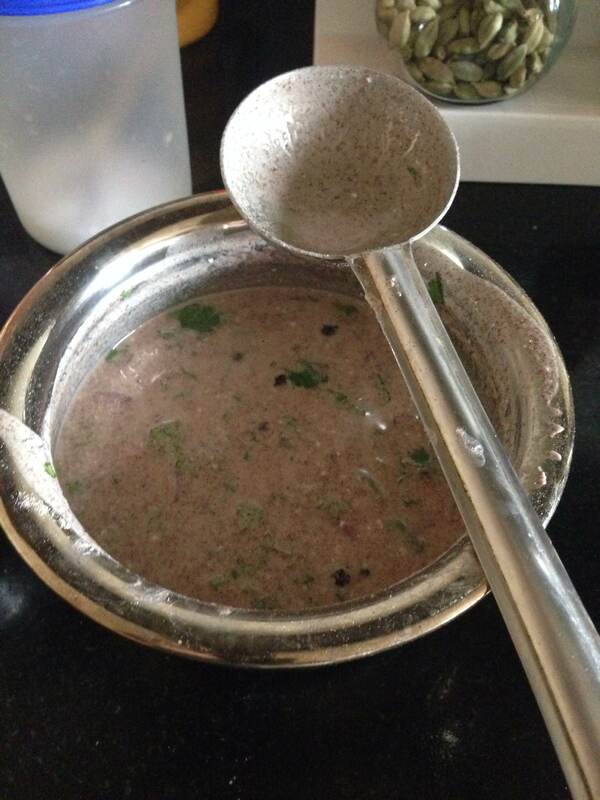 You need to mix the batter before pouring for every dosa since it tends to sit at the bottom of the vessel.